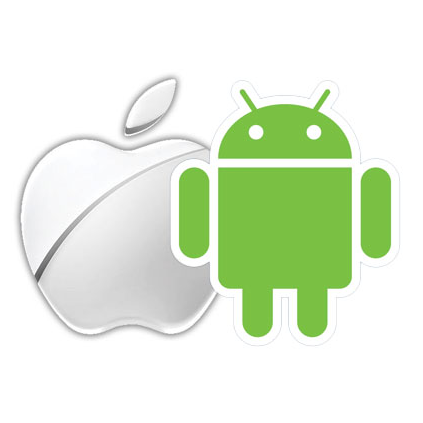 New research has shown that Android and Apple handsets now account for 9 out of every 10 smartphones sold. Figures from research agency IDC showed there were 207.6 million phones running either operating system during the fourth quarter of 2012, up 70.2% on 2011. With this, Android and Apple phones now account for 91.1% of the market. Samsung remained the biggest driver of Android’s success, accounting for 42.0% of all Android smartphone shipments. Its rivals trail far behind, with them holding a single digit share. In total, 159.8 million Android handsets were shifted during the quarter, up 88.0% on 2011. Apple’s iOS share actually shrank slightly during the past 12 months, from 23% to 21%. However, the launch of the iPhone 5 and a low cost push of the iPhone 4 and 4S lead to shipments increasing by 29.2% to 47.8 million. There’s more bad news for both BlackBerry and Symbian platforms, which, combined, accounted for less than 10 percent of all smartphones shipped last quarter. The Windows platform, meanwhile, hasn’t quite made it to that hallowed third place it reckons it deserves. The mobile OS continues to grow, however, albeit at a gentler rate than both iOS and Android. Microsoft’s likely pinning its hopes on the adjustable widgets and meatier specifications of Windows Phone 8 to draw in some new customers this fall.